I attended a useful breakfast talk this morning presented by several consultants from different firms, two of whom were from Gallup. I have heard about Gallup Polls but I found out today that they do offer other services including those related to people performance. Here was where I was introduced to the Clifton Strength Finders. I am a fan of personality theories. And even though they don't use the word "personality" but "talents" and "strengths", it's close. I was quite captivated by it, and felt that it may be something more simple to implement company wide compared with MBTI and DISC. 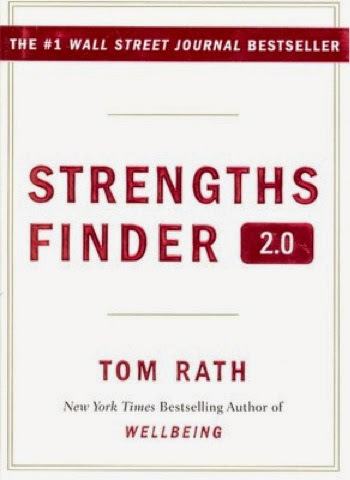 I did a brief research on it and ended up buying a copy of Tom Rath's Strengthsfinder 2.0. By the way, he is Ronald O. Clifton's grandson. This book was the #1 Wall Street Journal bestseller and was listed as the top worldwide business bestseller by The Economist in 2011. I have not started on the book, but I am thinking if I am caught up in all but a hype. I hope not. I really hope it is what it claims itself to be. I shall see.